Today's roundup is all Williamson County! Brentwood, Cool Springs, and Franklin are where I spend most of my time. While chain restaurants are prolific, there's a ton of delicious bites throughout. You're in for a treat, I've got a lot to share in this post! Hello, biscuit sandwiches! I really want to get back to this spot in Brentwood to try some of their tater tots. The whole area around the restaurant is just booming, and it didn't even exist when I moved here. Check out my full recap of my visit to Holler & Dash. Del Frisco's Grille is right across the way from Holler & Dash. Their menu isn't cheap, but the food is good! I went with a friend for lunch, and we found the best thing to do was to share a few things. We had the wild mushroom flatbread, spicy guacamole, and ahi tacos. I think the flatbread was my favorite. 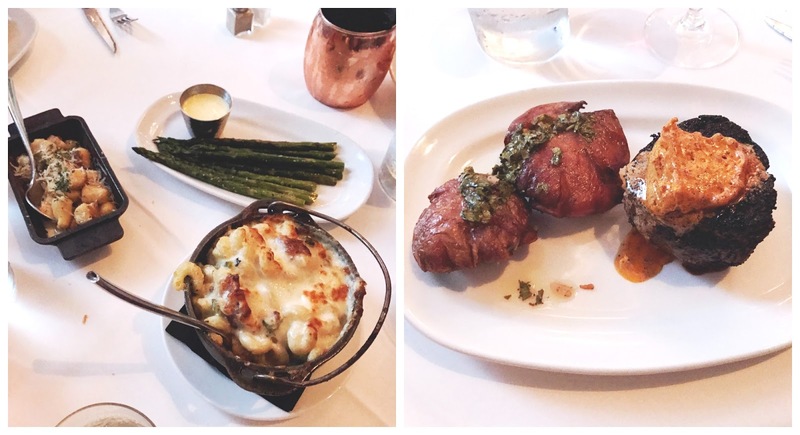 Del Frisco's seems like a great place for a girls' night or happy hour. 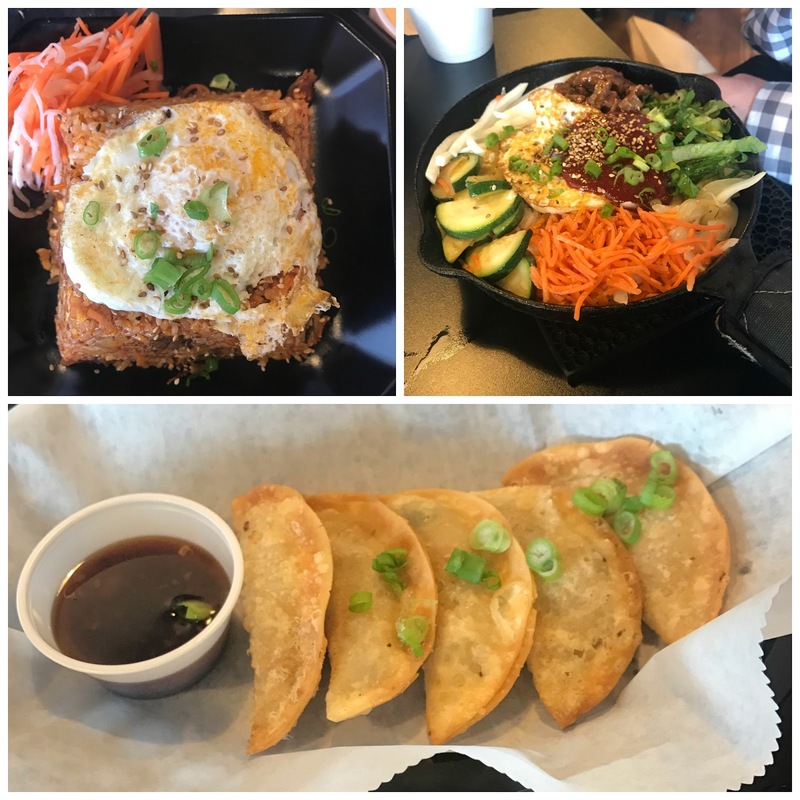 While I maintain the best Korean food in Nashville is mostly in the Antioch area, Soy Teriyaki Bistro brings it much closer to home for me! The first time I went there, years ago, there wasn't a ton of Korean food on the menu. But now, I feel like Korean food is on trend and they're really letting their menu expand in a great way! The fried rice is delicious, and you can even get bibimbap. Drake's is a perennial favorite for happy hour for my coworkers. It's always packed! While I think the seating arrangements leave a lot to be desired (not super flexible for groups, especially the rigid booths in the back), they do have a big menu, including sushi! Some might be wary ordering sushi at what seems to be a sports bar, but they do a really great job at it. They also have killer tater tots. I like that you can dine in the front bar area almost like a covered patio when the weather is nice. Yats, next to the UPS Store in Cool Springs, was on my list for ages before I actually got to try it. My buddy and I had the jambalaya and the drunken chicken, served with their garlicky bread. The portions were HUGE! What we didn't know at the time is that we could have ordered two entrees half-and-half for variety. It was packed with flavor and spices! I'll be back when I'm looking for a meal that packs a punch. Cool Cafe is the best meat and three in Franklin, in my book! Meat and three is something I'd never heard of until I moved to Tennessee. A meat and three restaurant is one where the customer picks one meat from a daily selection of three to six choices (such as fried chicken, country ham, beef, country-fried steak, meatloaf, or pork chop) and three side dishes. It's usually served with cornbread. Cool Cafe is one of my husband's favorite spots in town! I try not to eat there too often, because I feel so stuffed that I need a nap afterwards. Looking for a fancy steak dinner in Franklin? Cork & Cow has delicious food and a fantastic cocktail hour. It is a dinner-only restaurant. When my in-laws came to town, I wanted to go someplace for a nice group supper, this is where I made a reservation. It's from the same restaurant group as Red Pony Restaurant, where we had our wedding dinner. I had one of their steak specials, and the spicy butter on my steak was absolutely killer. Technically, Leiper's Fork is in Franklin, so I included it here. When my sister-in-law was in town, we went to do a tour and tasting at the new Leiper's Fork Distillery. I'm not a whiskey or bourbon drinker, but I was definitely surprised by how similar it is to making beer in some ways. I also learned how to properly taste and smell it. I think it's a great place to visit and tour if you're interested in learning! Where have you been eating (or drinking) lately?